Get ready for your medical exams! 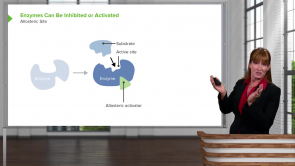 The USMLE Step 1 will test your fundamental knowledge of a variety of scientific concepts, including energy, enzymes and metabolism, which is why it is essential to expand your knowledge of Biology. Who better to review these concepts with than an expert? Dr. Georgina Cornwall is a Professor of Biology at Colorado Mountain College. 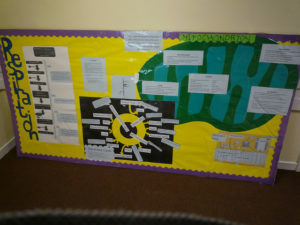 Dr. Cornwall excels at helping individuals learn and review the key concepts of Biology. Have direct access to self-paced lectures led by Dr. Cornwall and test your knowledge through high-yield, interactive quizzes. A deep understanding of Biology is necessary to do well on the USMLE Step 1. Without this strong fundamental base, moving forward in your medical career will be very challenging. So don't delay, start reviewing with an expert today. The complete aerobic catabolism of one molecule of glucose yields between 36 and 38 ATP; energy obtained mostly as the reduced coenzymes NADH and FADH2 are conveyed through the electron transport system. Three of the four respiratory complexes comprising the mitochondrial respiratory chain, as well as ATP synthase, are embedded in the inner mitochondrial membrane. Coenzyme Q and cytochrome c transfer electrons between complexes, which will ultimately meet oxygen, the terminal electron acceptor. Metabolic water is the product of oxygen reduction. Metabolism is the sum of both catabolism (pathways that break down molecules for generation of cellular energy) and anabolism (pathways that build macromolecules using cellular energy). Here, we will discuss metabolism with regards to the Laws of Thermodynamics, Enzymology, and go over some of the major metabolic pathways utilized by organisms to perfectly prepare you for upcoming exams. In biochemistry, glycolysis is very important. The knowledge of energy supply is of great significance for medical training. This also applies to the regulation of carbon hydrate deficiency and excess. Even the formation and utilization of lactate plays an important role in this. Physicians who supervise not only people with weight problems but also athletes have to deal with this subject on a daily basis. 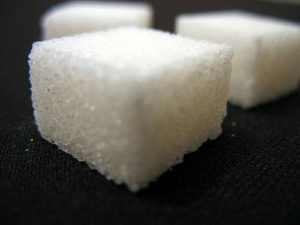 Glycolysis comprises more than sugar metabolism. In all professional areas, energy metabolism is an important subject. This article enables you to gather extensive knowledge concerning energy metabolism of human beings which will help you to master your medical exams. 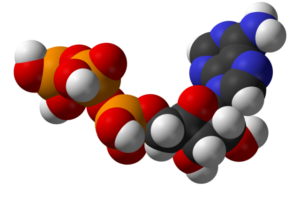 Triacylglycerides are a group of insoluble compounds that serve as energy reserves in the body. Their storage occurs in adipocytes, which are built up or depleted in response to the constantly changing energy demands of the cell. Both of these processes are under tight hormonal regulation. This discussion will also include the absorption and transport of fatty acids, as well as the production of ketone bodies. As the final stage of food utilization, the citric acid cycle is primarily responsible for many anabolic and katabolic processes of the human body. As the ‘hub of metabolism’, it is a very popular subject in medical examinations. The following article will help you to better understand its functions, the different reaction steps, and their regulation. Amazing lectures. Simplifies complex pathways and process. Really fantastic! Watched every lessons. As much as your stories are interesting for the ETC gradient It does not fit my learning style. It would be nice to have clear scientific language about what's happening. I can't write a story on my exam paper. Perhaps this is just me. You make it much more easier. However, I still understand all important points. Thank you! Really great explanations of the whole process. Was not happy that I had to relearn Krebs and ETC but actually found these videos enjoyable and valuable. 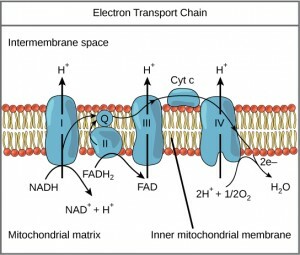 Loved the lectures, especially the lecture on the electron transport chain. Dr. Cornwall had a really useful analogy of the ETC and kids (electrons and hydrogens) going to the prom (ETC) that really made the concept stick. Very good job! It's an excellente teacher! She uses easy analogies that you can memorize quickly and gives you a summary of your class (in my case). Greetings from México! Face With Tears of Joy! Thank you very much!! Gooood job LoL and really a good story-maker??? ?Thank you very much! Amazing, very impressive! The Very Best So Far!!!! I do not think there can be any simpler explanation of these concepts. Dr. Cornwall takes her time to explain these concepts in a way that they stick with you, and the analogies she uses engrave them into the medulla so that you can relate to the concept. You can't beat this! This is exceptional!!!! Thank you so much!! This lecture was excellent in every way, I must say DR. Cornwall is a Pro in intermediate metabolism. I couldn't understand this processes better in medical school than she has made me. I don't waste my time going to any biochemistry lectures at my medical school because I know that Dr Cornwall explains all of the content more clearly, in more depth, in less time. I always finish her lectures excited for the next one! Brilliant! I have always found these topics extremely confusing at medical school, but Dr Cornwall is able to explain them in such a way that they seem straight forward and easy. This certainly replaces lectures for me! If anybody is unsure about trying this course, they should definitely try it! Dr Cornwall is the best biochemistry lecturer I have seen! A great lecture. I am a high school student and i struggle with biology. I get a better explanation from your lectures and I am not even a native English speaker. Thank you so much! What I loved the most about this lecture was how Dr. Cornwall actually took her time to explain the concepts discussed, and even used simple analogies to ensure that the information was easier to digest. This is something you find lacking in many professional lectures. Thanks again Dr. Cornwall! Thank you dr. Georgina Cornwall! Everything was perfectly understood with your lecture! She is very detailed but yet not overwhelming with the lecture. It's been great help on my bio knowledge. Not very hard to understand, sometimes a bit too "shallow". However most often very good. Even great. The Dr Georgina did it very well she know detail about the subject matter andinet did not express about her and execelentroll model for me!